Weather Emergencies Are Unpredictable. Keep Your Family Safe With a Backup Generator! 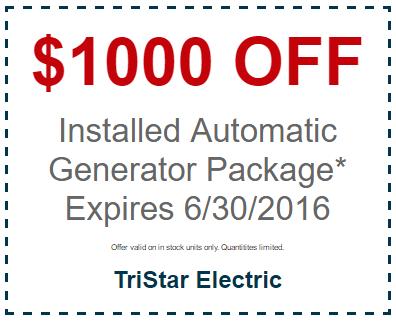 For a limited time, we’re offering $1000 off an installed automatic generator package! We’ve had a lot of rain lately in the DC, Maryland, Virginia area. It’s only a matter of time before you’ll be relaxing in your living room watching a must-see episode of your favorite series when you hear that all-too-familiar slowed, electrical groan. Your power just went out, and from the looks of it, a huge storm is brewing outside. With no way to gauge how long your dreaded outage will last, don’t get caught stranded without a backup generator! Keep your home up and running this year while the rain sloshes against your windows and the wind howls outside. It’s comforting to have your own oasis of heat, warm water, and home-cooked meals. Weather is unpredictable! Let’s take a look at the advantages of having a generator and why they should be installed in every DC, Maryland, and Virginia home. 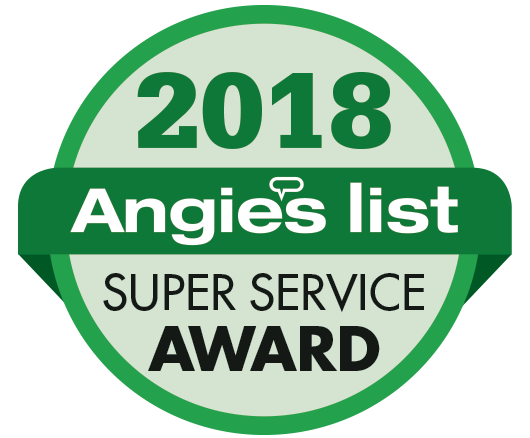 While residential generators do keep you comfortable and functional during an outdoor emergency, they also help protect you from dangerous voltage fluctuations and surges when power returns. You could be seriously electrocuted if fondling with an outlet, or trying to turn something on when the power suddenly comes back. Fortunately, installing a generator will keep the power in your home streamlined. When a generator is working your electricity will gently return, without the dangerous risk of electrocution. Let’s be honest, it’s hard to take time out of your busy schedule to constantly update yourself on the ever-changing weather. A lot of the time, we get so wrapped up in our own work we forget about mother nature’s unpredictability. Don’t waste your time panicked, scrambling for flashlights, candles, water heaters, or space heaters. Without a generator, you’ll end up spending a lot of money buying all the necessary requirements for living without electricity for an extended period. Investing in a generator will bring you peace of mind. You’ll always be prepared, even if you didn’t see the storm coming. If maintained correctly, generators will yield some serious long term benefits. Easily installed by TriStar Electric’s team of expert electricians, they will keep your volt-powered saving grace up and running. Notable for their responsiveness, expertise, friendliness, and professionalism the trusted crew has been described as, “an example of total reliability.” All clientele consistently highly recommend their services with positive comments ranging from, “all appointments were kept on time, the work was finished when promised, annual maintenance is seamless, and everyone at TriStar is professional and friendly,” and “courteous, prompt to answer our questions, we highly recommend TriStar to anyone seeking a generator.” Always receiving 5-star ratings, TriStar Electric is your number one electrician in the DC, MD, and VA areas. Call TriStar Electric for generator installation and maintenance today! If you have any questions about our generator installation or generator maintenance, please contact TriStar Electric, Maryland’s premier residential and commercial electrician, by calling 410-799-5791 or 301-384-8880. Or, you can fill out the contact form on our website. This entry was posted on Tuesday, June 7th, 2016 at 2:13 pm. Both comments and pings are currently closed.